Caitlin Haney Johnston is an associate at The Haney Law Firm. 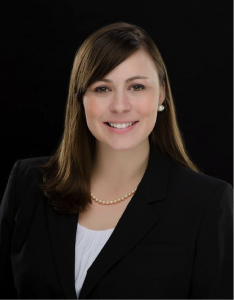 Her practice includes estate planning, probate, probate litigation, and general civil litigation. A graduate of the Austin Young Lawyer’s Leadership Academy, Caitlin co-founded the Cancer Law Clinic (CANLAW) to provide pro bono estate planning services to cancer patients and survivors. Caitlin provides presentations on estate planning to local cancer survivor groups and at CancerCon, the largest gather of young adult cancer survivors in the country. Caitlin’s commitment to the Cancer community stems from her own battle with young adult cancer. Caitlin served as an associate editor for the American Bar Association’s Litigation News Magazine and is on the board of directors for the Austin Young Chamber of Commerce and Horselink, a non-profit that provides equine assisted therapy to survivors of traumatic events.